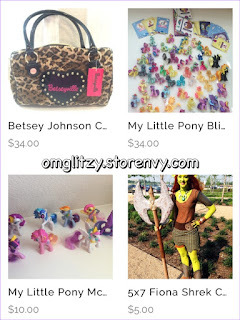 OMGLITZY: I opened a new store! Shop my closet! I opened a new store! Shop my closet! The last several days I have been cleaning my room in preparation for my move to Houston! In the process, I found some nice items in my closet that are either gently or never been used. I decided to open a shop on Storenvy so I can raise some money for my move. 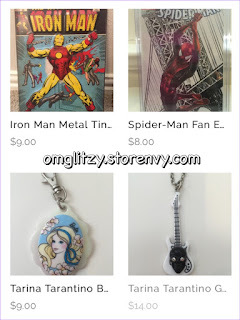 All sales are US only and shipping is only $4 (and $1.00 for any additional item.) Right now I have a lot of purses and necklaces from brands like Betsey Johnson, Juicy Couture and Tarina Tarantino. I also have my My Little Pony blind bag collection listed and some really cool metal tin comics. This is also a chance to grab one of my cosplay prints since I found a folder with a few left over from my when I had an Etsy store. I hope you see something you like and if not please share it with your friends that might be interested!